As the Social Capital Markets (SOCAP) packs more than 3,000 investors, entrepreneurs and other supporters into its 10th annual conference next week, there’s no doubt impact investing is on the rise. But three key issues get in the way of wide-scale adoption by the majority of investors. One, impact investors are spread fairly evenly around the world, with their home location unrelated to much of their investing. Two, like philanthropists, impact investors have favored types of impact. Three, because of these and other factors, it’s next to impossible for entrepreneurs (or conveners) to fill a single room with like-minded impact investors. 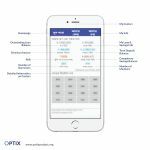 All this, and there are orders of magnitude less capital doing impact investing vs. traditional investing. The “friction” of getting an impactful investment fully raised and closed is holding back the flow of capital that wants to be deployed. At least this is how it seems based on discussions with dozens upon dozens of impact investors at SOCAP, Toniic, Investor’s Circle and myriad guest speakers over the years at the Seattle Impact Investing Group. Many of us in the industry are working to lessen the friction. One new “lubricant” is investorflow.org, a free, nonprofit service inviting every impact investor to join. The network was inspired by conversations at SOCAP and Gratitude Railroad in 2016 and launched at the start of January 2017. These conversations confirmed the global and fractured nature of impact investing, and the frustrations impact investors were having finding like-minded co-investors. Impact investing is global. 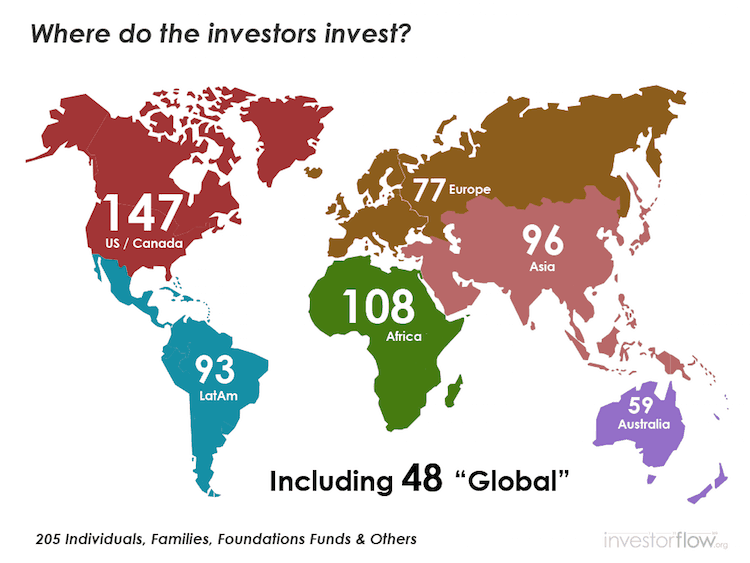 While most of the investorflow.org investors live in the United States, nearly all of them invest somewhere else in the world, with almost a quarter investing anywhere. 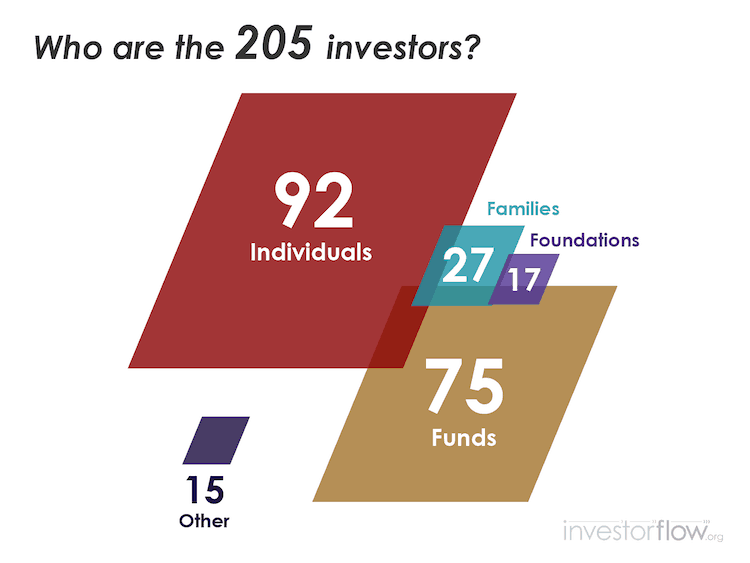 The term “investor” is inclusive, with almost half being individuals and a third being funds. The individuals span the range of brand new to impact investing to people with over 25 years experience. The funds range from under a million dollars to SFJ Social Finance to the impact investment department at the Bill & Melinda Gates Foundation. The most interesting insight from this group is their popularity of impact interests, measured using the UN Sustainable Development Goals. 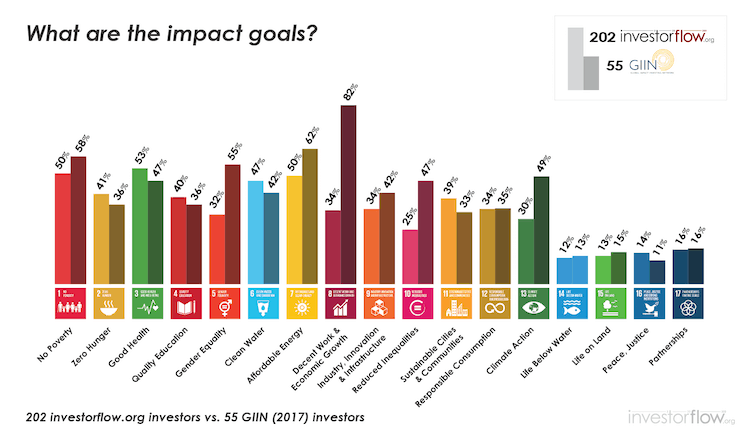 The investorflow.org report compares these popularities with the survey results from the Global Impact Investing Network (GIIN). 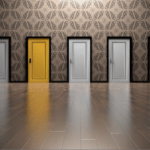 While there are some differences, the key takeaway is that there are some vast differences in popularity between these goals, which are consistent between individuals and funds, and between small investors and large investors. 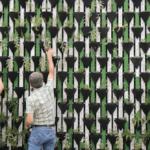 The most surprising result is how new impact investing truly is. 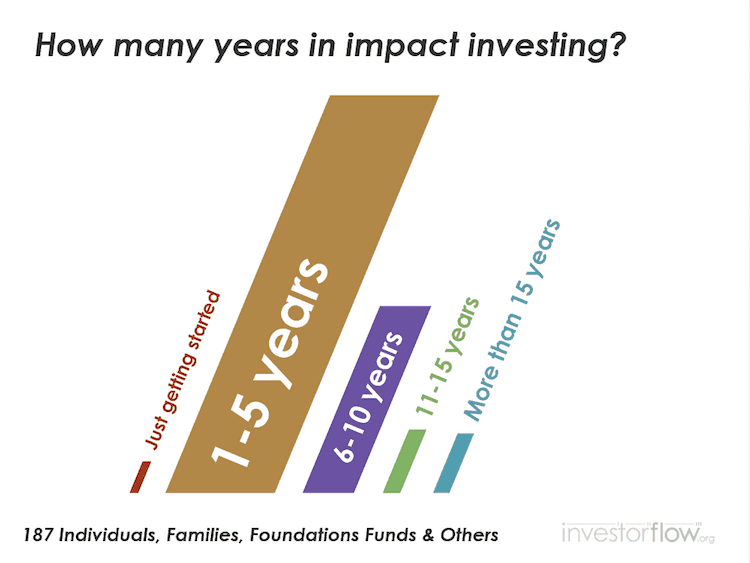 Over half of the first 205 investorflow.org investors have five or fewer years experience in impact investing. These are just a few highlights of the report. It includes analyses of investment stages and structures, digs into more detail of investors’ experiences, and breaks down most of these values by individuals vs. funds. The goal from here is to reach at least 365 investors before the end of the year, then more than 1,000 in 2018. As the network grows there will be new tools introduced to connect like-minded investors. At scale, the vision is that investorflow.org fills in the other 50 weeks of the year when SOCAP isn’t the venue for investors to meet face-to-face. Michael “Luni” Libes is a career serial entrepreneur and co-founder of six companies. Most recently, he founded Fledge, the “conscious company” incubator. Top photo courtesy of SOCAP. Homepage photo: Jim Makos, via Flickr.